Fruitbat Factory is one of my favourite localisation houses. The team specialises in bringing over ultra-niche games from Japan, and are perhaps best known for Eiyuu Senki, the tactics strategy game on the PlayStation 3 that absolutely wowed us in that console's twilight. Related reading: Matt's review of Eiyuu Senki. 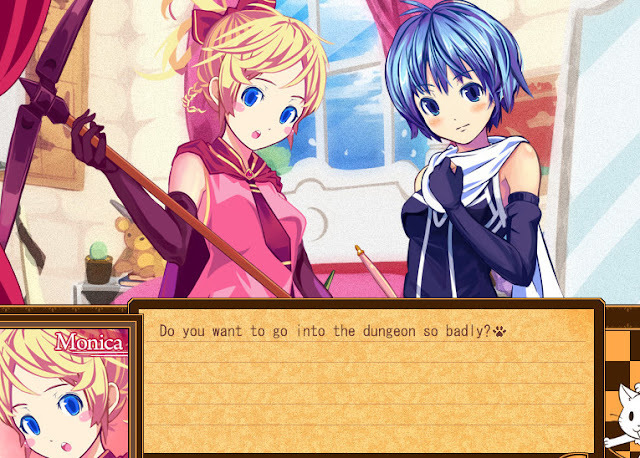 The localiser's latest game is Dungeon Girl; a dungeon crawler combined with match-3. This game, which features ultra-cute characters, will be coming to PC in the near future - it's available for pre-order now. Independent game publisher Fruitbat Factory is happy to announce that puzzle RPG Dungeon Girl will be coming to Steam in English for the first time. Developed by Inu to Neko, Dungeon Girl is a cheerful fantasy adventure that’s easy to pick up and play. Match panels to explore the dungeon, and make them disappear to attack enemies. Explore, excavate, heal and attack. Start your adventure and see how deep you can go!